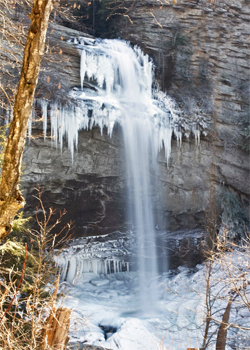 This entry was posted in Free Things to Do, Great Smoky Mountains National Park, Hiking, Nature, Uncategorized, Vacation Planning, Wildlife Adventures, Winter and tagged GSMNP, hiking, snow, waterfall, Winter. Bookmark the permalink. ← Stay Warm – Come On In!